I was literally just about to get into bed in my hotel in Liverpool last night, when the air was rent with loud explosions. Fortunately nothing sinister – just fireworks giving a cruise ship a good send-off on her voyage. 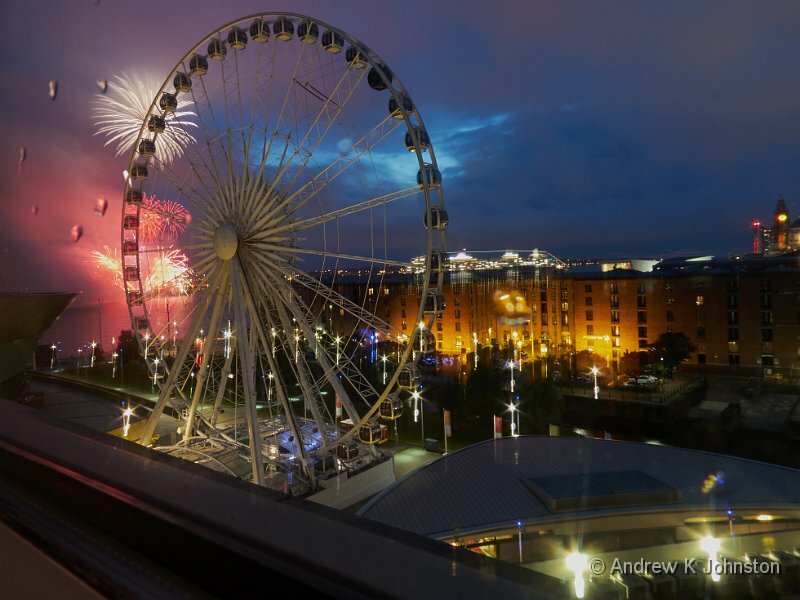 My hotel room was very well positioned to watch the show, with the fireworks and the ship visible through Liverpool’s "Big Wheel".